EDITOR’S NOTE: Updated at 6 p.m. EDT (2200 GMT). The U.S. Army’s Reagan Test Site, which manages the launch range at Kwajalein, has limited windows available for civilian launchers like the Pegasus. The Pegasus rocket’s return to California is expected to cause the mission to miss its narrow launch opportunity in June, prompting a delay that could be measured in months. 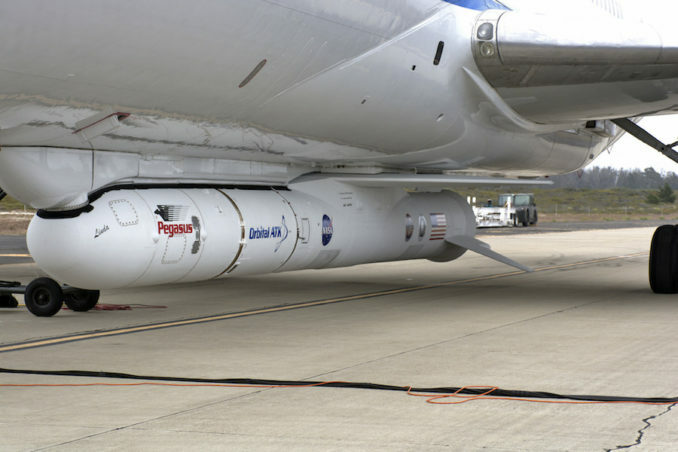 The air-launched Pegasus XL rocket, nestled under the belly of an L-1011 carrier jet, departed Vandenberg Air Force Base, California, on Wednesday, heading for an overnight stop at Hickam Air Force Base, Hawaii, en route to Kwajalein Atoll, home to a U.S. military launch range in the mid-Pacific Ocean. 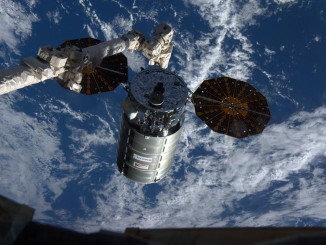 But teams reversed course after detecting a technical problem on the first leg of the journey. The nature of the “off-nominal data” found during the ferry flight was not announced as of Friday afternoon, and a NASA spokesperson did not provide further information when asked. 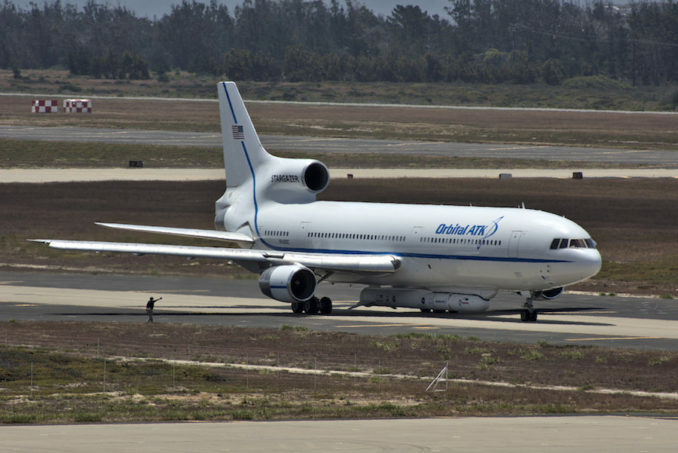 The L-1011 aircraft, along with a team of controllers, technicians and engineers making the trip on a charter airplane, did not take off for Kwajalein as planned Thursday, and officials decided Friday to bring the rocket back to Vandenberg Air Force Base, where Pegasus launchers are assembled and readied for missions. The online flight tracking website FlightAware.com showed the charter plane with members of the ICON team took off from Honolulu on Friday bound for Vandenberg. A flight plan for the L-1011 aircraft, carrying the Pegasus rocket, showed it was scheduled to leave Hawaii later Friday. The ICON satellite is fastened to the forward end of the 55-foot-long (17-meter) Pegasus rocket. ICON will probe the link between Earth’s atmosphere and space weather. The mission was set to be the first satellite launch conducted by Northrop Grumman after the aerospace contractor’s purchase of Orbital ATK, which developed the Pegasus rocket. Orbital ATK has conducted 43 satellite launches with Pegasus rockets since 1990, and a record which includes 29 successful orbital-class missions in a row since 1997. 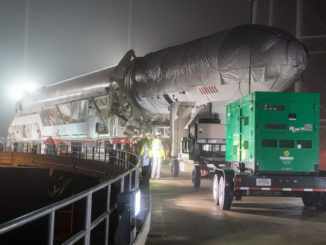 ICON will be the fifth Pegasus mission staged from Kwajalein, a site which NASA and Northrop Grumman officials — then part of Orbital ATK — selected based on ICON’s target orbit and the rocket’s lift capability, which gets an extra boost from the island’s equatorial location. The Pegasus team had pre-staged key equipment, including launch control consoles and spares for the Pegasus rocket and the L-1011 carrier aircraft, at Kwajalein months before the mission’s scheduled takeoff. Located in the Marshall Islands, Kwajalein is around 2,400 miles (3,900 kilometers) southwest of Honolulu, just west of the International Date Line. 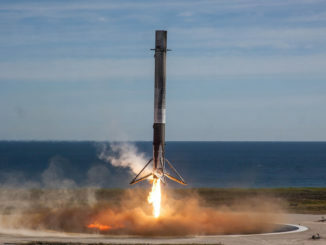 ICON’s launch has been delayed a year by a pair of concerns with its Pegasus launcher.